Enjoy world-class cricket in VIP style with official SSE SWALEC Stadium corporate hospitality packages in 2019. This year, the Cardiff venue will host some thrilling Cricket World Cup clashes including England v Bangladesh! Eventmasters are delighted to offer official corporate hospitality packages for all international fixtures at the SSE SWALEC in 2019, which allow you to experience all the action and atmosphere of this superb stadium in VIP style – perfect for entertaining valued clients and guests. 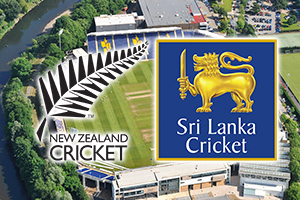 Saturday 1st June 2019 See this splendid Cricket World Cup fixture between New Zealand and Sri Lanka in VIP style with official corporate hospitality and tickets at the SWALEC Stadium in 2019. 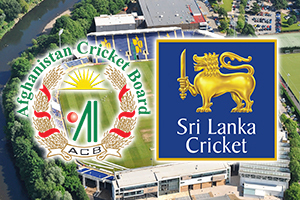 Tuesday 4th June 2019 See this splendid Cricket World Cup fixture between Afghanistan and Sri Lanka in VIP style with official corporate hospitality and tickets at the SWALEC Stadium in 2019. 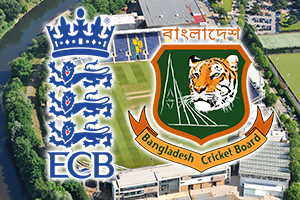 Saturday 8th June 2019 See this splendid Cricket World Cup fixture between England and Bangladesh in VIP style with official corporate hospitality and tickets at the SWALEC Stadium in 2019. 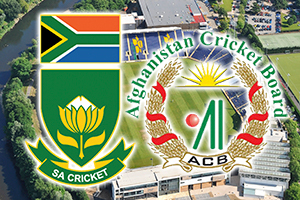 Saturday 15th June 2019 See this splendid Cricket World Cup fixture between South Africa and Afghanistan in VIP style with official corporate hospitality and tickets at the SWALEC Stadium in 2019. The SSE SWALEC Stadium (also known as Sophia Gardens) is one of the UK’s leading cricket venues and is the home of Glamorgan County Cricket Club. Located in Cardiff on the River Taff, the ground has been hosting international cricket fixtures since 1999 and hosted its first Test Match in 2009 as England and Australia played the First Ashes Test at the fabulous ground. After undergoing a multi-million pound redevelopment the SSE SWALEC has become a popular destination for guests looking to enjoy a day at the cricket in luxurious style. Eventmasters are delighted to offer a wide-range of official corporate hospitality packages and VIP tickets for all games. If you are looking to entertain your valued clients and guests than we are sure to have a package that suits your requirements. Enjoy all the action with a private box inside which can seat up to 21 guests and offers an intimate experience perfect for entertaining your valued clients. The Gold and Silver Packages also offer a VIP experience for guests with fantastic views of all the action along with exquisite dining, providing a truly memorable day of world-class cricket and corporate hospitality.